In a special series for Easter, Matthew Oates follows in the footsteps of the writer Edward Thomas, arguably the most accomplished and profound writer of English rural prose. Edward Thomas (1878-1917) was arguably the most accomplished and profound writer of English rural prose, with a unique poetic-prose style. His reputation rests almost entirely today on his poetry, the one hundred and forty four poems which he wrote in the last two years of his life, between December 1914 and December 1916. In January 1917 he embarked for France and the Battle of Arras in which he was killed on April 9th, 1917. As a prose writer Edward Thomas is often overshadowed by his poetry, but over Easter 1913, he set off on a cycle ride of personal self-discovery across Southern England. In doing so he was hoping to reconnect with the countryside he felt he had become disconnected from, having lived in London for some time. This journey was published in 1914 in his book "In Pursuit of Spring" and it remains a poignant reminder of one of our greatest countryside writers, who just a few years later would die on the battlefields of World War One. 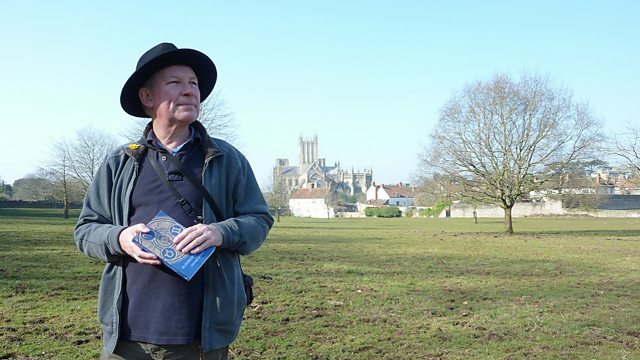 Over Easter 2013, naturalist Matthew Oates pursues his own personal homage to Thomas by following in the literacy cycle tracks of the Edwardian writer one hundred years before. Throughout the series, academic and travel writer Robert MacFarlane, an admirer of Thomas himself, will read passages from Thomas's work which illustrate the man within. Rather than faithfully recreating the earlier journey, Matthew aims to recapture the spirit of self-discovery as he travels through southern England to meet people who can explain Thomas, the man behind the writing. In this series of three programmes Matthew Oates will be travelling to Steep in Hampshire, where Thomas lived, and where he wrote his most famous works. Not far away in Coate near Swindon is the home of Richard Jefferies, whom inspired Thomas. In Gloucestershire, Thomas lived for a few short weeks in 1914 with the Dymock poets, here it is believed he began to reject prose for poetry under the influence of his great friend Robert Frost. The series ends by the Quantocks in Somerset, the scene of the great romantic nature partnership between Coleridge and Wordsworth. But as Thomas travelled across southern England in 1913, was he aware that the life he had known, and more importantly the countryside which gave him solace from his depression, was about to abruptly end. Unwittingly, Thomas has provided today's reader with 'Mirror of England' taking us back to a simpler time when the horrors of a European conflict were yet still beyond comprehension.